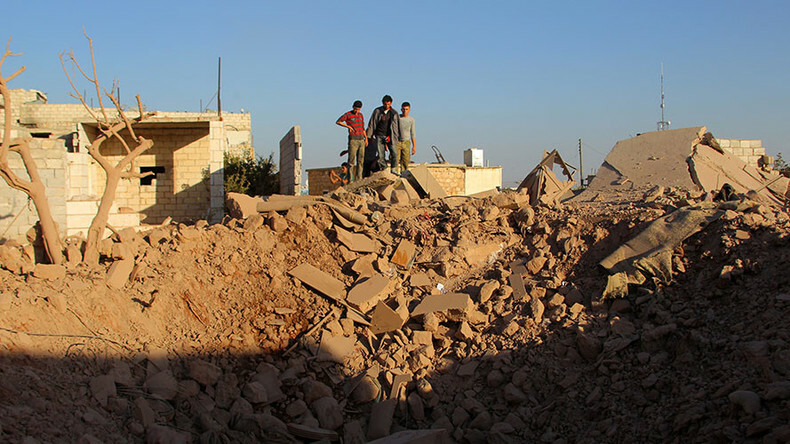 At least six people were killed in an airstrike on a village in Aleppo province, northern Syria, the Russian Defense Ministry said, adding that two Belgian F-16 jets were operating in the area. Brussels denies the claims. According to information handed over to the Russian Reconciliation Center in Syria by the local council of the Syrian city of Afrin, the village of Hassadjek suffered an air attack in which six people died and four more were injured. The Russian Defense Ministry stressed that neither Russian nor Syrian air forces were carrying out any missions in the area. At the same time, the ministry said that Russian data recorders detected two Belgian F-16 fighter jets in the area within the specified time. Russian and Syrian air forces halted airstrikes in Aleppo from 0700 GMT Tuesday for a 48-hour humanitarian pause. “We are expecting statements from the US State Department that would strongly condemn the attacks on civilian facilities and the killing of civilians. I think that it will be no trouble to find the images of the killed to launch the respective campaign on CNN,” Russian Foreign Ministry spokeswoman Maria Zakharova wrote on her Facebook page, calling on Washington to weigh in on the suspected coalition airstrike. The Russian Defense Ministry said that the ceasefire comes ahead of schedule. The humanitarian pause to allow civilians to leave Aleppo and for the delivery of aid to the city was initially scheduled to start on Thursday and to last for eight hours. Russian Defense Minister Sergey Shoigu said that he expects nations that have influence on the groups opposed to the Syrian Army and entrenched in the eastern part of the city to put pressure on the militants and make them the observe the truce. On Wednesday, Belgian Defense Minister Steven Vandeput dismissed claims that its air force is in Aleppo. Belgian forces were “not involved in [the] Aleppo strike. [It’s] Russian disinformation,” he tweeted. “Usually we do not reveal our positions, but currently we do not fly over the area [Aleppo],” he said, as cited by L’Echo newspaper.
.@JournalNEO Belgium is not involved in Aleppo strike. Russian disinformation. Meanwhile, Syrian government forces that control the western part of the city and have encircled the eastern part will provide two corridors for the militants to leave Aleppo with their weapons. The move by Russian and Syria forces is line with the initiative of UN special envoy to Syria Staffan de Mistura, who proposed a halt to hostilities in Aleppo to let the terrorist group Al-Nusra Front leave the eastern part of the city under a guarantee of safe passage. It is also in line with a Russian resolution introduced to the UN Security Council, which backed de Mistura’s proposal but was rejected by the other UNSC members.